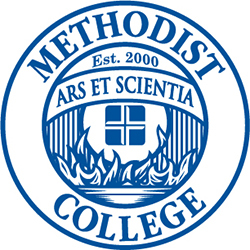 In keeping with the Americans with Disabilities Act of 1990, the ADA Amendments Act of 2008, and Section 504 of the Rehabilitation Act of 1973, Methodist College is committed to providing equal access and opportunity for otherwise-qualified students with disabilities through reasonable accommodations. This commitment extends to Methodist College services, facilities, and privileges. Reasonable accommodations will be made for qualified students with disabilities unless they impose an undue hardship on the College or fundamentally alter the academic program. Accommodation requests can be made by completing the Request for Accommodations Form. Paper copies are also available in the office of the Assistant Director of Counseling and ADA Coordinator (W160). Once the request form is submitted the Assistant Director of Counseling and ADA Coordinator will meet with you to complete the initial intake interview. During this appointment the ADA Coordinator will get a better idea of your individual needs. You may or may not be asked to provide documentation regarding your disability. Need for documentation is determined on a case by case basis by the ADA Coordinator. Once you've been approved for accommodations, you will be asked to give consent for the ADA Coordinator to notify your instructors and key staff members via email regarding your accommodations for the upcoming semester. You will also be given a letter outlining your accommodations that you will need to take to each instructor to privately discuss. *Renewal: Students must renew their request each semester by completing the Request for Renewal Form. If changes are requested, the ADA Coordinator will meet with you to discuss the changes and update your accommodations letter as needed. You will also be asked to give consent for the ADA Coordinator to notify your instructors and key staff members via email regarding your accommodations for the upcoming semester.